The Sunday Club: Daniel Ross - Sunday 7th July!!! 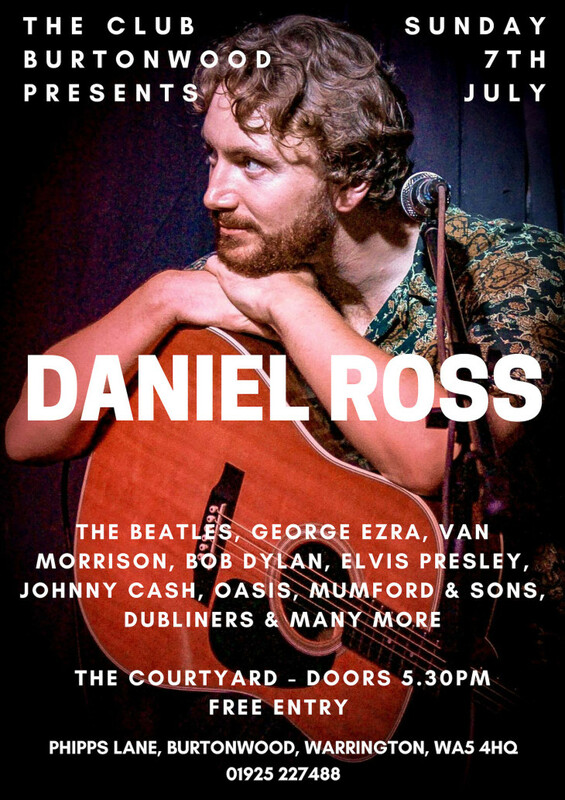 We're delighted to welcome the fantastic Daniel Ross to The Sunday Club on the 7th July. Playing hits from the likes of George Ezra, Bob Dylan, Johnny Cash, The Dubliners and more. Make sure you join us for more brilliant live music!! !